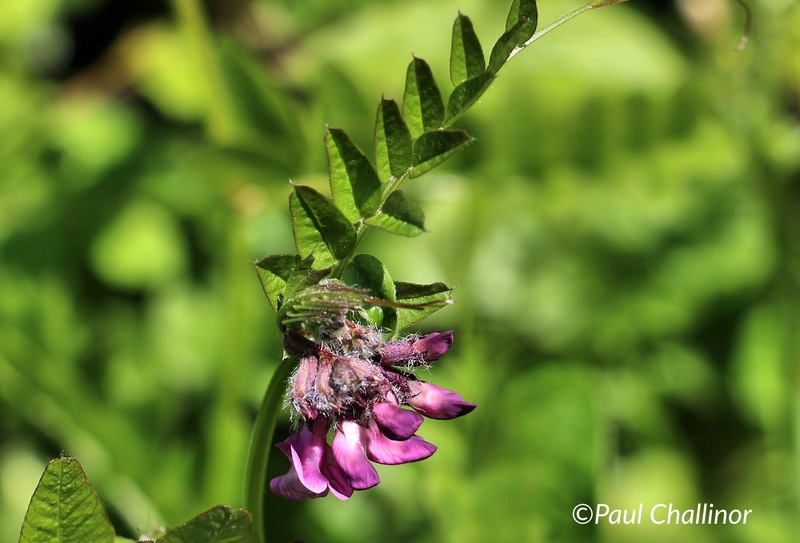 A Bank Holiday Weekend that is offering something other than rain. Surely this must be a mistake. It always rains on the bank holiday weekend! Not this time according to the weather forecast, but time will tell. It’s Aunty’s birthday weekend and so we ventured out into the wide world. 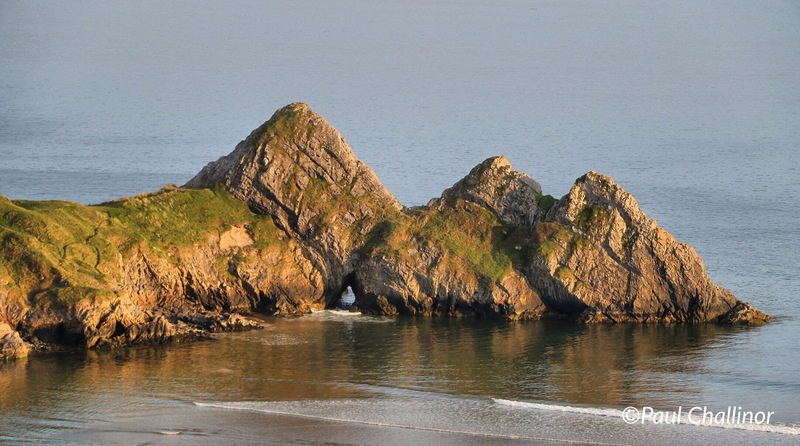 We’ve set up the caravan above Three Cliffs Bay – Aunty’s favourite beach on the Gower. The caravan site is sited on the cliff top over looking the Bay and Aunty has wanted to stay here here for a while. So here we are. The view form the caravan sitting room. The following are just a few photos taken during a walk down the cliff to the beach and back. Not much text or history this time. 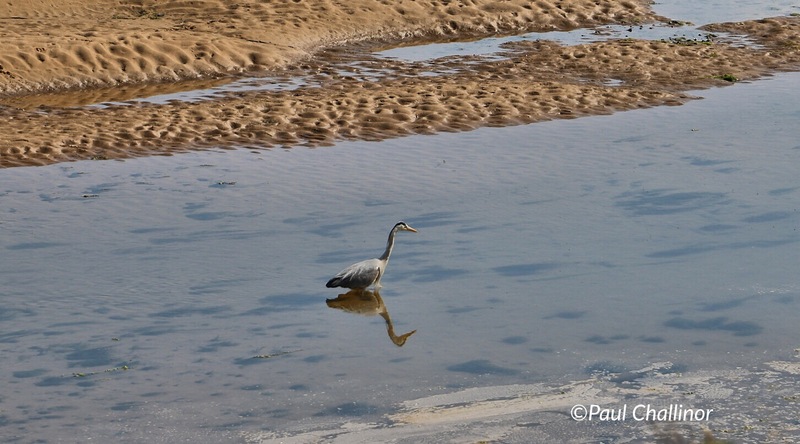 A Grey Heron feeding in the river leading down to the beach. 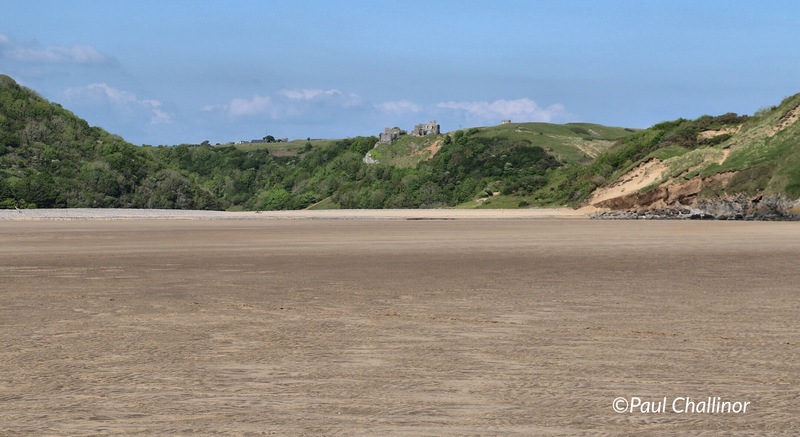 Looking back up the beach towards Pennard Castle. 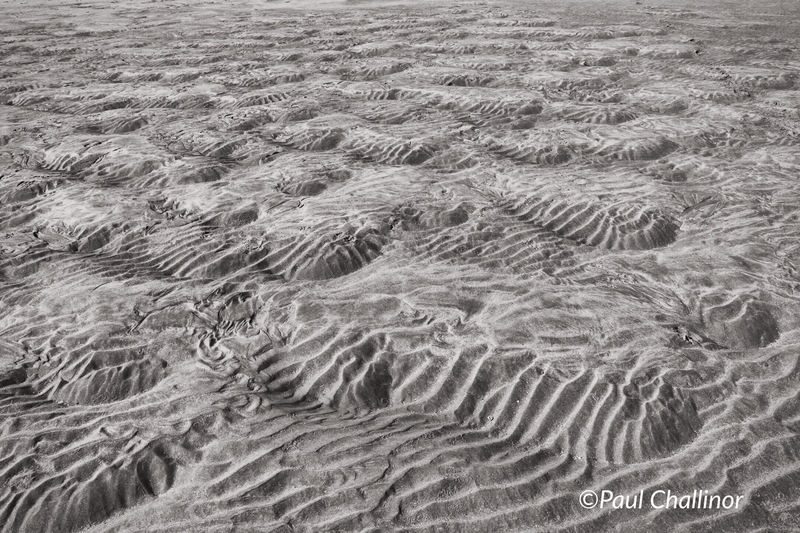 Patterns created by the sea in the sand – a minature crater system. Not enough crab here to make a salad I’m afraid. Pennard Castle from the caravan site. The Three Cliffs at sunset as the tide rises. 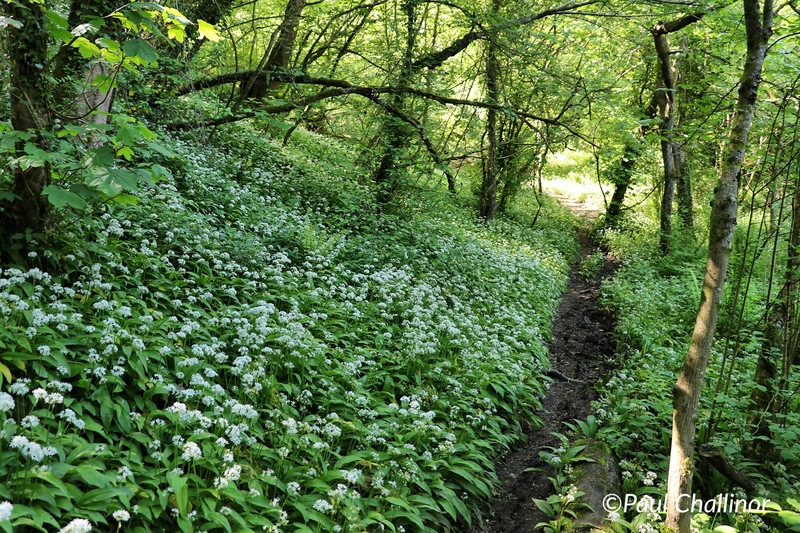 Looks like a magical place to spend the weekend … or longer! Happy birthday to Aunty!